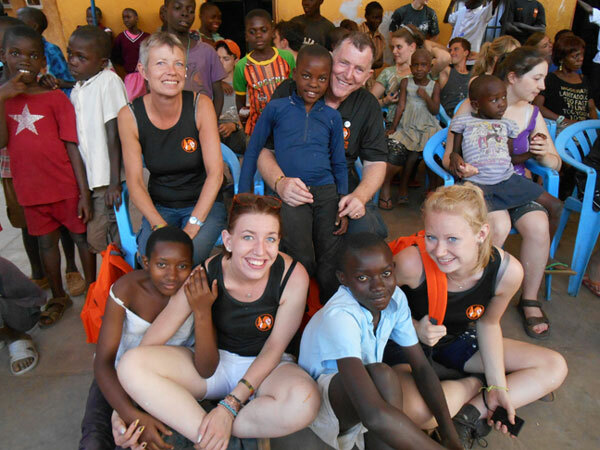 For the past 5 years Chellaston School in Derby have embarked on several visits to carry out various projects at a children’s orphanage in Uganda. Since 2009 SOS have been supporting the scheme and are proud to have helped the school with funding towards the yearly trips and projects. Previous projects include installing solar panels for lighting and charging electrical equipment such as laptops and phones etc. Building projects such as erecting decking and exterior walls to improve security and general exterior around the orphanage. 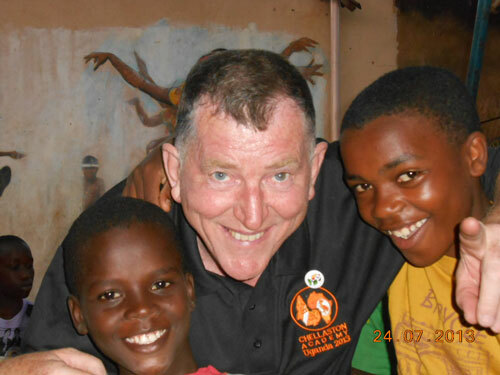 Gordon McQuilton and family have been able to visit the orphanage for the first time, to help out with the current restoration and development projects organised by Chellaston School. Gordon, Claire, Maggie and Pip were given a great reception wherever they went with people from both MYDEL (Mengo Youth Development Link) and MLISADA (Orphanage in Uganda) excited at meeting the family they had heard so much about. 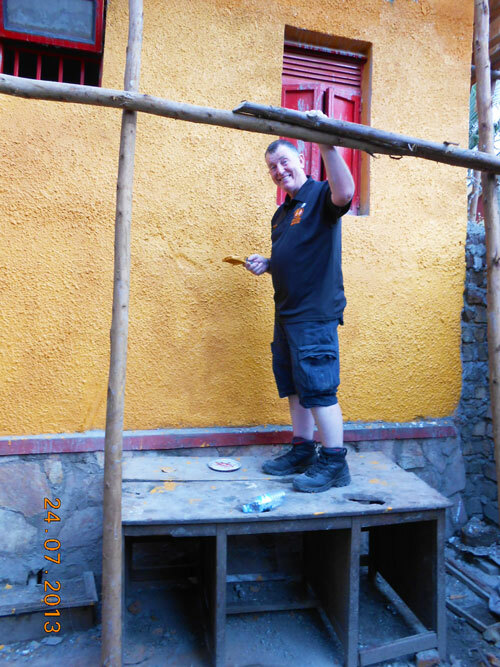 After touring the site of the new school and MYDEL, the McQuiltons got straight to work, joining in the painting and helping with some rendering. At 4pm, they were taken to ‘Point Zero’ where Mr. Karran met the orphans of M Lisada in 2007. They were then given a detailed ‘slum-walk’ of the Katwe area, ending up at the John Dickens Home. A special arrival concert was held in their honour, with posters all over the walls to express how happy the kids were to receive them in their home. On Day Two of the visit, Gordon and Claire (who work very closely with disabled children in England) went on visits to the Kampala Handicapped Centre and the Good Shepherd Handicapped Centre. They were moved by the love of the children they met and will be linking up with these two organisations throughout their stay. On Day Two of the visit, Gordon and Claire went on visits to the Kampala Handicapped Centre and the Good Shepherd Handicapped Centre. They were moved by the love of the children they met and will be linking up with these two organisations throughout their stay. If you would like more information about the projects please visit the Chellaston School website or get in touch with SOS to get involved.